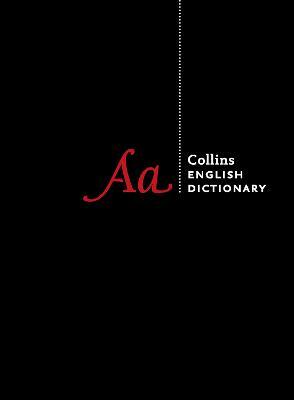 Collins is proud to announce a major new edition of its flagship dictionary. Updated with the latest terms to enter the language, Collins English Dictionary is not only comprehensive and authoritative, but also offers outstanding coverage of world, regional and dialect English. Collins English Dictionary is a rich source of words for everyone who loves language. This new edition includes the latest words to enter the English language as well as a wide range of biographical entries. Usage notes give advice on using the right word in the right place, and thousands of etymologies trace the roots of modern English. A clear, two-colour page design helps to make this dictionary accessible and easy to use, and the new virtual thumb tab makes it even easier to find the entry you are looking for. The dictionary includes a supplement on words on the cusp of entering the language, as well as an extended essay on how English has changed in the last 30 years, and looking forwards to the next 30 years. We also include charts to illustrate changing language trends over the years. All definitions, examples, idioms, and usage notes are based on the Collins Corpus - our unrivalled and constantly updated 4.5 billion-word database of today's English - making it an authoritative and up-to-the-minute reference source.